Calgon Carbon Corporation announced results for the fourth quarter and year ended December 31, 2014. Net sales were up 5.7 percent, though currency translation had a $5.0 million (USD) negative impact on sales due to the stronger dollar against the euro and yen. 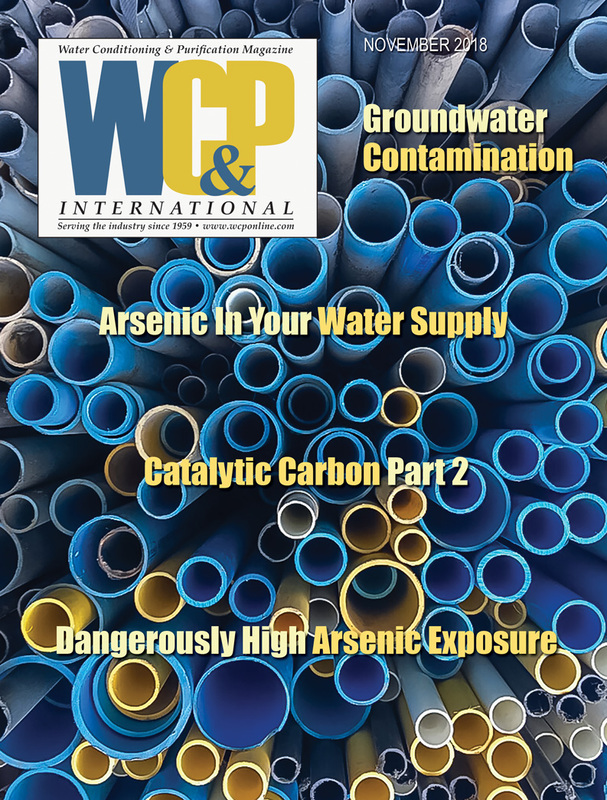 Sales for the Activated Carbon and Service segment were up 8.4 percent due to higher demand for granular activated carbon (GAC) in three major markets: potable water in Asia and the Americas; industrial process in all geographic areas and environmental air, principally for mercury removal in the Americas. Consumer sales decreased 34.4 percent due to lower demand for activated carbon cloth. For the year, net sales increased slightly: activated carbon sales were up 3.3 percent and consumer sales increased 7.9 percent. The WateReuse Association and Research Foundation announced a plan to merge the leadership of both organizations to more aggressively address challenges that local communities face in meeting growing demands for water supplies in the context of drought, climate change, aging infrastructure, environmental degradation and an increasingly complex web of federal, state and local regulations. At their February 2015 meeting, the leadership of the two organizations adopted a Board merger plan that will serve as the catalyst for a stronger alliance. The plan calls for a core group of Directors to simultaneously serve on each Board, thus facilitating maximum strategic collaboration. 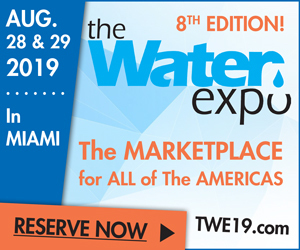 Known collectively as WateReuse, the two organizations have been international thought-leaders on alternative water supply development and the global go-to source for applied research, education and advocacy on water reuse for nearly three decades. The Water Well Trust announced that it has completed the first of 19 water wells it expects to drill or rehabilitate in north-west Arkansas and eastern Oklahoma to serve an estimated 145 individuals in this high-need, low-resource rural area. In October 2014, the US Department of Agriculture (USDA) awarded a $140,000 (USD) matching grant to the non-profit organization through its Household Water Well Systems Grant program for a project to increase potable water availability to rural households in five northwest Arkansas counties (Franklin, Benton, Madison, Marion, and Crawford) as well as Sequoyah County in Oklahoma. The first well for this project was completed in January for a household in Chester, AR. The second USDA-project water well was expected to be completed in February near Rogers, AR. The Water Environment Research Foundation (WERF) has entered into a partnership with Isle Inc., an independent technology and innovation consultancy, specializing in clean technologies. Under the agreement, WERF will work with Isle to develop research and demonstrations of technologies that can accelerate inno-vation in the water quality community. Isle’s Technology Approval Group (TAG) will identify new technologies for inclusion in the Leaders Innovation Forum for Technology (LIFT) technology evaluation program. LIFT is a joint program led by the WERF and the Water Environment Federation (WEF) intended to accelerate the adoption of innovative water quality technologies. Isle’s mission is to accelerate the market uptake of ‘step-change’ technologies by introducing them to potentially interested wastewater facility owners during pre-commercial stages of development and by facilitating additional research and trials to demonstrate the feasibility of the technologies. ASSE/IAPMO/ANSI Series 13000-2015, Service Plumber and Residential Mechanical Service Technician Professional Qualifications Standard, has been approved by the American National Standards Institute (ANSI) and is now available. Series 13000 contains two standards: ASSE Standard 13010, Professional QualificationsStandard for the Service Plumber, which includes general knowledge requirements and performance criteria for individuals who service, maintain and repair plumbing systems and ASSE Standard 13020, Professional Qualificatins Standard for the Residential Mechanical Service Technician, which includes general knowledge requirements and performance criteria for individuals who service, maintain and repair residential mechanical systems. 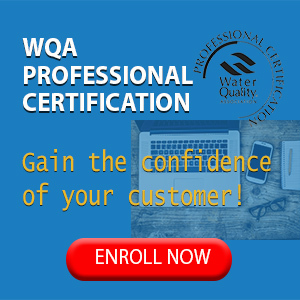 For questions regarding the Series 13000, contact Marianne Waickman, ASSE International Professional Qualifications Coordinator at marianne.waickman@asse-plumbing.org or at (708) 995-3015. Hot tub manufacturer Watkins Man-ufacturing Corporation has acquired Endless Pools®, Inc. through its parent company, Masco Corporation. The acquisition allows Watkins to expand its line of personal well-being products into the aquatic fitnes category, opening new channels of distribution and access to a new customer base. Watkins Manufacturing will maintain the Endless Pools brand and Endless Pools’ headquarters will remain in Aston, PA. Terms of the acquisition were not disclosed. 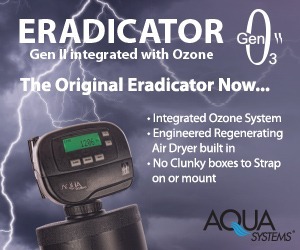 Scalewatcher North America announced that Docupak LLC, a full-service marketing company headquartered in Alabaster, AL, has reduced chemical usage by a third and removed all scale from its cooling tower at its plant after installing the patented Scalewatcher computerized, electronic water conditioner. In addition, there are no longer signs of algae growth on the cooling tower louvres. Aware that health agencies continually draw attention to the risks of limescale and algae in cooling towers and wanting to reduce the use of chemicals, Docupak’s Plant Manager decided to install the electronic water-conditioner through local dealer, Al Chatham of Water Processing and Well Supply in Harpersville. An industrial Scalewatcher system was installed on the water-feed line to the building and then another unit was specificallyfitteonto the recirculation line of the cooling tower. PRNewswire reported that Kinetico Incorporated’s operating subsidiary (Kinetico UK Holdings) has signed a definitive agreement to acquire the shares in Aquacare Belgium and Aquacare International NV. The acquisition enables the strategic collaboration between Kinetico and Aquacare’s former owner to jointly invest in building a business that provides comprehensive water treatment products and services to consumers, restaurants and oces in Belgium and France. Former Aquacare owner Van Kerkhoven will stay on as Managing Director of the newly formed company, Kinetico Belgium NV and Kinetico France SARL. A new system at Shanghai Disney Land to improve the quality of make-up water to the cooling water circulation system was commissioned in June of 2014. Membrana’s Liqui-Flux® W10-07 UF modules were used as pretreatment to RO and Liqui-Cel® 10 x2 8-inch gas transfer membranes (GTM) as the post-treatment to remove dissolved oxygen and carbon dioxide. The integration of Membrana’s UF and GTM technologies before and after RO not only exceed design requirements, but continue to produce high-quality water with low operating costs. Aquatech Global Events announced that increased potential for international businesses will be evident at Aquatech China in June. With 1,400 exhibitors scheduled, organizers are expecting over 45,000 attendees from around the world. Access to sufficient clean water, reducing environmental and water pollution and promoting sustainable development in China require concrete solutions. Water shortages make the water sector a relevant and interesting industry to invest in for non-Chinese companies. The Chinese government is making considerable investments for improving the sector, while depending on non-Chinese companies to offerthe required technologies and know-how that is not widely available in China itself. The number of country pavilions confirms the interest in China from abroad. They include new participants such as the Netherlands, Spain and Germany and return participants from South Korea, WQA, Taiwan, Canada and Japan. Krones AG was represented at Propak East Africa for the firs time during the March event. The company has a permanent presence in the region with its LifeCycle Service Center (LCS Center) in Nairobi, which in mid-2014 relocated to modern new prem-ises. Krones supplies its clients in the East African region with responsively can-do service, technical support and spare parts.